Pitino Fired Over Corruption Allegations; What Does It All Mean? The FBI conducted an investigation into corruption in the college basketball recruiting world. Just this week the FBI indicted a number of coaches. In addition, the United States government referenced an unnamed university as “University-6“ in its indictment. University of Louisville officials confirmed they are the unnamed university in the indictment. According to other reports triangulating information from the FBI’s allegations, U of L freshman Brian Bowen – a five-star recruit who was playing on an Adidas-sponsored AAU team – accepted $100,000 (in four installment payments) to attend the University of Louisville. Reacting swiftly, the University apparently determined Coach Pitino and the Cardinal basketball program had sustained one too many scandals and held a press conference today. For now, Pitino and Tom Jurich are on leave. Sources close to the program indicate Pitino expects to be terminated and that he has stated as much to his assistant coaches. There is a 10 day notice provision in Pitino’s coaching contract requiring the University to provide 10 days of advanced notice prior to terminating his employment. What’s at stake? For starters, the U of L basketball program is already on NCAA probation for a scandal involving strippers and prostitutes performing for recruits in the basketball dorm. If these allegations against the program are proven true, the Cardinals basketball program could receive the death penalty from the NCAA. Pitino is was the highest paid coach in college basketball, receiving nearly $8 million each season. If he’s fired – for cause – then Pitino will forfeit his contractual entitlement to be paid more than $55 million through 2026. And let’s not forget about the University, either. Make no mistake, firing Rick Pitino is not a great financial windfall for U of L. Under Pitino’s less-than-watchful eye, Forbes recently ranked the Cards as the most valuable college basketball program, generating approximately $29.1 million of p-p-p-p-p-profit each season for the University. 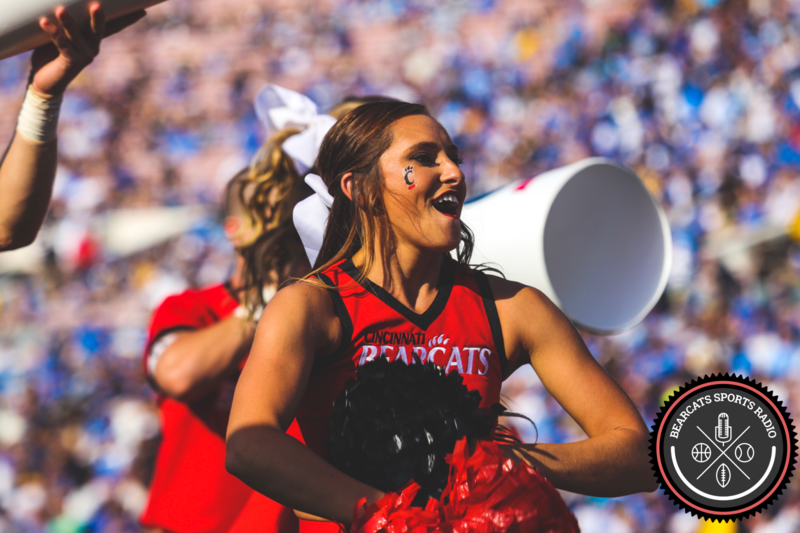 How does this news potentially impact Bearcats fans? In a word – Cronin. The University of Louisville is going to be looking for a new head basketball coach and history suggests price is not a problem. Our head coach happens to run a stable, squeaky-clean program. By the way, and despite the $0 player payroll, the program is thriving, especially heading into this season. Is he a target? Is UC actually Mick Cronin’s dream job? Would he or any of the other name brand coaches want to pick up the pieces in Louisville? This much is clear, he coached under Pitino once upon a time, his salary is about $5 million less than Pitino’s salary, and Vegas has him as the odds-on-favorite to become the next U of L coach. Those facts alone don’t suggest he’s a slam dunk choice to replace Pitino, but he will certainly be on Louisville’s short list of coaches to target. Time will tell. For now, I am just grateful that our basketball program is cleanly led, and hope Mick sticks around to chop down nets this April.